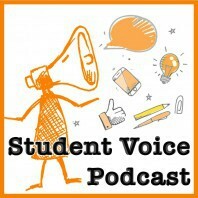 Ontario’s Student Voice Initiative: Looking back. The longer terms goals were bigger and more about achieving a cultural shift towards making the UN Convention on the Rights of the Child ‘real’ for all Ontarian young people and realizing classrooms where young people and teachers worked as partners around learning. Has the ground shifted? Is there evidence that the term ‘student voice’ is present in ministry policy and curriculum documents? Do youth/student advisory councils exist at all levels of civic society in Ontario including provincial and municipal government? Are student/youth-led initiatives including student collaborative inquiry research no longer rarities? An external evaluation of the initiative would help answer these questions but as someone who was deeply involved, I think there has been an incremental shift. I base this on feedback from alumni from all cohorts of Minister’s Student Advisory Council, teachers, principals, superintendents, and Directors of Education. I have noted the term ‘student voice’ is appearing in policy documents and in key-note addresses of educational leaders. I am lucky. I happened to be at the forefront of a trend sparked by inspirational student voice champions, namely, Adam Fletcher (soundout.org), Jean Rudduck (Cambridge, U.K.) and Ivan Corbett (New Brunswick). Essential ingredients for building a movement? Communication: The ministry communicates to the educational leadership in all regions/districts. It typically does not communicate directly to students in schools except when it has the support of the school board and only through senior management and the school principal. The communication at the provincial and regional levels was effective (as in most people were aware of the initiative), however, the communication about the Student Voice Initiative at the student level needed help. Student Voice resources/information sent directly to schools may or may not have been shared as intended. For example, 1000 kits to build capacity for Student Voice were delivered to every high school in Ontario to be shared with student council leaders. There is very little evidence ( in my opinion) to support that the bulk of student councils used/received them. Feedback from regional student forum participants and presentations to student trustees frequently expressed surprise at the existence of the Student Voice Initiative. They were excited but wondered why they hadn’t heard of it. 8 years later, many young people, especially disengaged youth, remain unaware of the importance of their involvement in the Student Voice Initiative and that their voice matters and is needed to create change. Leadership: Some districts were early adopters and embraced the idea of ‘students as partners in learning’ yet others remain cynical as to the value. Why? Student Leadership: The Ontario Student Trustee Association (OSTA) could be more effective in hearing all students’ voices (in their district) by harnessing the resources of the Student Voice Initiative to champion change (e.g. Students as Researchers). Many former Minister’s Student Advisory Council members have become student trustees so they take advantage of the resources as supports. Why not all of them? If the Ontario Public Supervisory Officials Association (OPSOA) supported an orientation/training for student trustees at a provincial level to build their capacity, it would help OSTA strengthen the bridge to schools, student councils and ultimately to students who are not engaged in learning in order to gather the input from them to inform school board policies. Why has this not occurred? What supports are required for this take place? The role of the teacher: More could and should have been done to build teachers’ capacity to be adult allies for young people in my opinion. Feedback from a case study on the SpeakUp in a Box experience of one high school highlighted some confusion of the teacher’s role. We can do better. The role of the principal: Resources have been developed for principals by the Ontario Principals Council but there is more that can be done to build their capacity. After 8 years, many students have been engaged/impacted/involved in student-led projects through SpeakUp funding (more than 8000 projects), Students as Researchers findings and as members of every cohort of the Minister’s Student Advisory Council. Feedback from surveys indicates that leadership, communication, and project management skills were developed and that participants felt more connected to each other and to their school. Every cohort of the Minister’s Student Advisory Council since the first one has identified the same issues as being concerns including a desire for an inclusive learning environment in which they seek to know and be known by their teachers, the continued problem of bullying, more opportunities for active learning, the sad reality of many ‘doing school just to get through it’, the reality that most student councils are about fund-raising and proms rather than about learning, student voice is limited to extra-curricular activities only; and wondering why there isn’t equal access to resources regardless of where you live in Ontario. On the whole, it seems that the overall student experience remains unchanged at the classroom level, despite a myriad of strategies, policies, and programs designed to strengthen student engagement. Is this true? If yes, why? Why is there uptake in some classrooms and not others? Is it the ‘broken telephone effect’ where messages shared top down become distorted and not understood? I am no longer in a position to advocate at a provincial level but this blog and the Student Voice Podcasts are intended to serve as a repository of stories, successes and also, to inspire young people to take up the challenge to improve learning conditions for their younger peers. In my next post, I identify the critical components that I think made a difference, steps to take to address the broken telephone effect and my thoughts on how to build capacity going forward.